Now that anyone with a phone is a potential paparazzo, there’s been chatter for a while about threats to the future of photojournalism and image-based reportage. But great photojournalism isn’t just about taking pictures and putting them in front of people—it’s about using imagery to uncover things that were previously untold. After all, as the cliché goes, a picture speaks a thousand words. 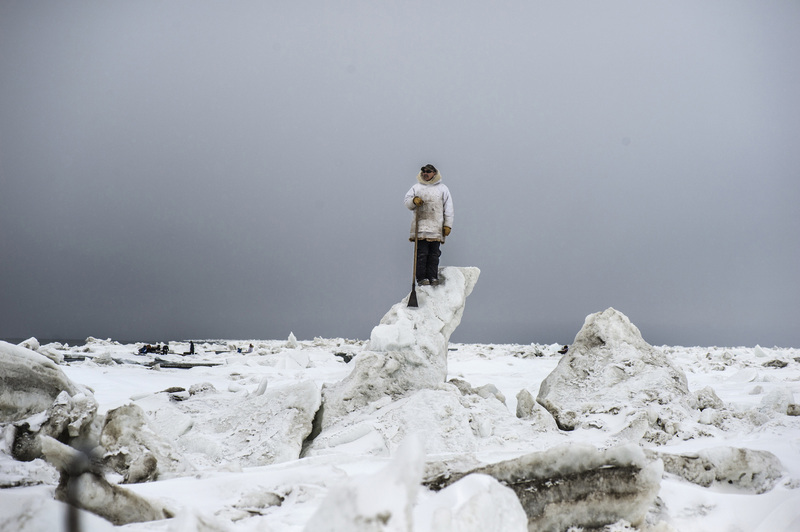 In one of the most ambitious photography projects we’ve come across, Yuri Kozyrev and Kadir van Lohuizen simultaneously covered the entire Arctic territory to document the irreversible effects of climate change on the region. The space they covered is vast: the Arctic region consists of the Arctic Ocean, adjacent seas, and parts of Alaska, Finland, Greenland, Iceland, Northern Canada, Norway, Russia and Sweden. 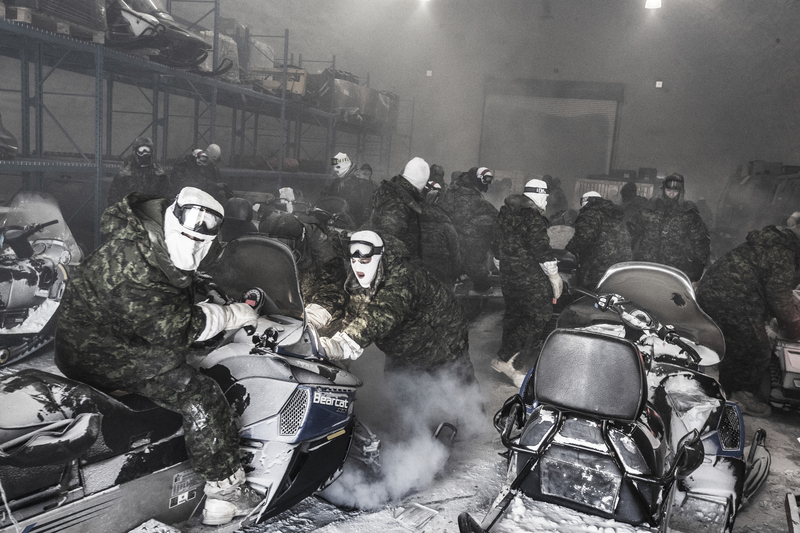 Their Arctic: New Frontier project was funded by the Carmignac Photojournalism Award, an annual 50,000 Euro [around £43,000] prize awarded for “the production of an investigative reportage on human rights violations and geostrategic issues in the world”. 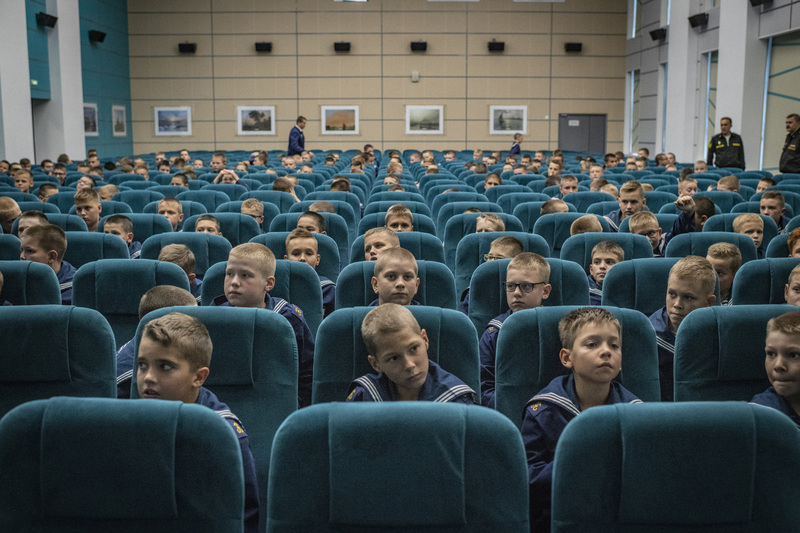 This is the first time it has been doubled and awarded to two photographers, and an exhibition of more than 40 photographs and six videos from the series is currently on show at London’s Saatchi Gallery. The images in the series showcase how both the natural landscape and the demographics in the Arctic have changed; as well as the impact this has had on the inhabitants of the region. 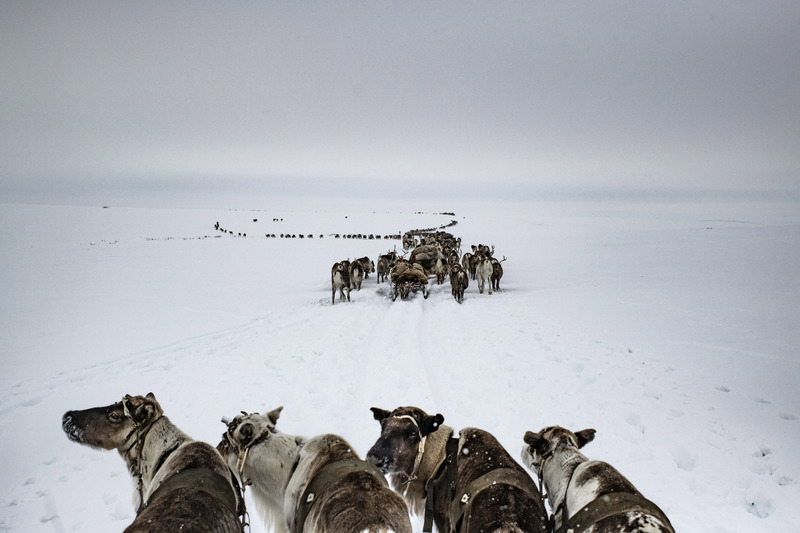 Kozyrev’s journey took him along the route of the Arctic Russian maritime ports, travelling with the Nenets, the last remaining Nomadic people in the region, on their seasonal “transhumance” movements. Last year, the melting of the permafrost meant that this journey was interrupted for the first time in recorded history. Among the people Kozyrev met along his travels were those who’d become ill from their work mining nickel in Russian industrial city Norilsk. According to the organisers of the Carmignac Award, the photographer also visited Murmansk, “where the first floating nuclear power plant is under secret construction”. Presumably it’s not such a secret now. 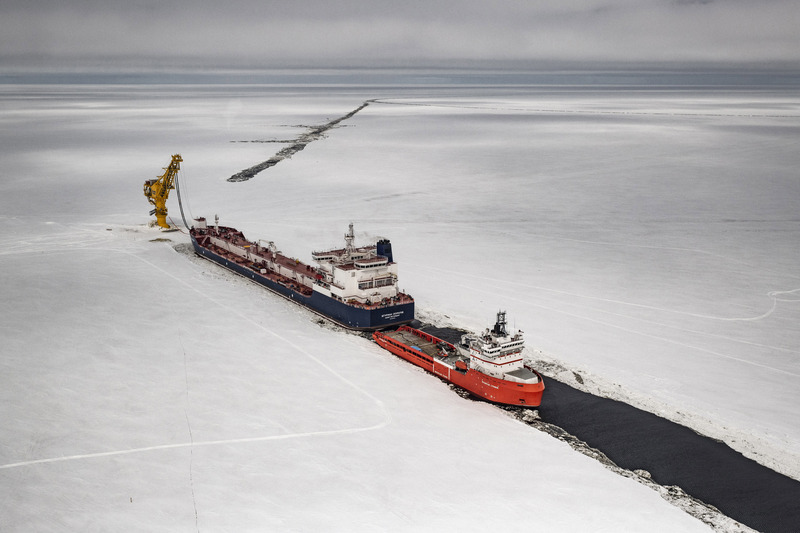 For van Lohuizen, it was the Northwest Passage that took his focus, which thanks to meeting ice has recently become the shortest route between Europe and Asia. Starting out on the Norwegian island of Spitzberg in the Svalbard archipelago, he travelled to Greenland. It was there that he met the scientists who found the hidden frozen rivers beneath the glacier that are said to be directly raising the planet’s water levels. So much so, in fact, that another community van Lohuizen visited, the Alaskan village Kivialina, is predicted to disappear underwater in just six years’ time. 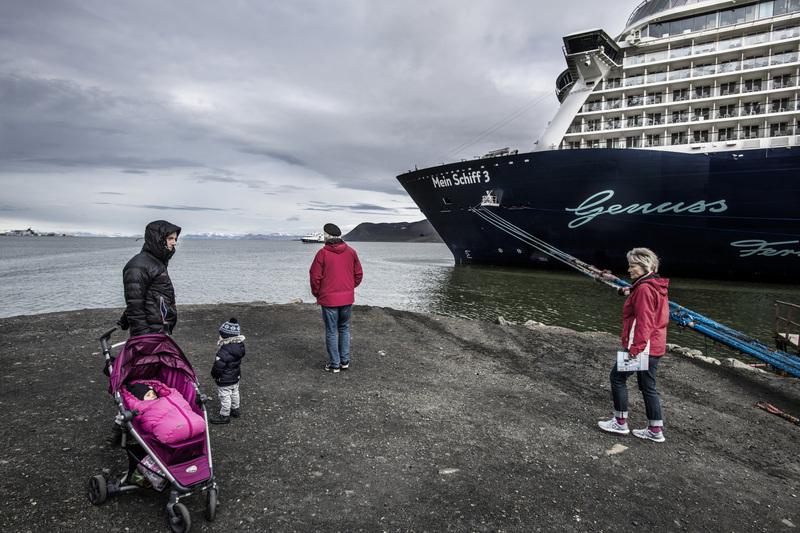 The combination of increased tourism, new trade routes, dwindling indigenous communities and the Arctic’s mineral and gas resources being ruthlessly exploited is explosive for the area. The chilly region has, in recent years, become “the site of class between countries and multinationals who are locked in a chaotic competition for control of these zones, which have taken on strategic importance in the history of humankind due to the effects of global warming,” says the Saatchi Gallery. The images shot by van Lohuizen and Kivialina serve to highlight the rapid pace of the region’s transformation; and the massive impact that has on a global scale.